As people age, their dietary needs change, and a good selection of proper nutrients becomes all the more important. Most people are familiar with daily food recommendations. The U.S. Dietary Guidelines for people over age 50 recommends a variety of types of foods, such as fruit, vegetables, grains, proteins, dairy and oils. 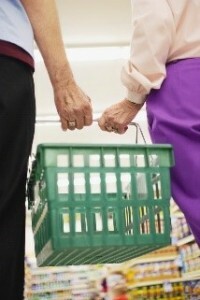 But as people age, even those who know what to eat can find it difficult to get the nutrients they need. Especially as mobility decreases. If there’s someone in your life who is in this situation, there are several great options available for those living in Whatcom County. 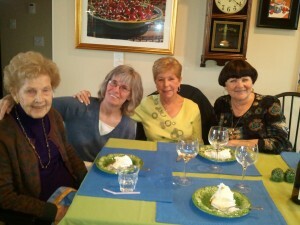 Have meals delivered: The Meals on Wheels program from the Whatcom Council on Aging is a great place to start. Formerly known as the Senior Nutrition Program, Meals on Wheels helps older adults in Whatcom and San Juan Counties remain healthy and independent by ensuring they have access to nutritious food, education and counseling on healthy nutrition, and the social benefits of community mealtimes. Every year, Meals on Wheels feeds more than 170,000 delicious, nutritious meals to more than 2,000 seniors in the Pacific Northwest. To be eligible for Meals on Wheels, an individual must be considered homebound, or usually unable to leave home without assistance. They also must be at least 60 years old, the spouse of an eligible person, on the COPES Program or a disabled dependent of an eligible client. If you know someone who can benefit from home-delivered healthy meals, contact the Whatcom County Meals on Wheels program. Hire a caregiver to prepare meals (and do myriad other things): As part of the 12-hour home assistance package, nurses from Take My Hand At-Home Care prepare nutritious meals (and even shop for the groceries needed). Not only do they ensure that those in their care are eating well, but they also provide a good mix of just what they need. TMH’s at-home care caregivers are careful to determine the unique food preferences and dietary needs of each client so that they can tailor the meals they prepare. 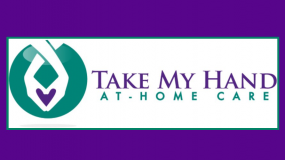 To get started, contact Take My Hand At-Home Care for a personal, in-home assessment. In addition to healthy meals, licensed caregivers from Take My Hand provide such benefits as companionship, assistance with personal hygiene, medication monitoring, light housekeeping and much more. Truly, they make it possible for the elderly to maintain their independence and age in place in the comfort of home. Take My Hand At-Home Care provides 12-hour shifts (including meal preparation) throughout Whatcom County, including Lynden, Bellingham, Ferndale, Blaine, Everson, Nooksack, Sumas and Birch Bay.